A welcome addition to the Stratco pergola range, here are two attractive styles in this range of gazebos. Also welcome is the fact that there is no constant painting or maintenance required for this strong material. 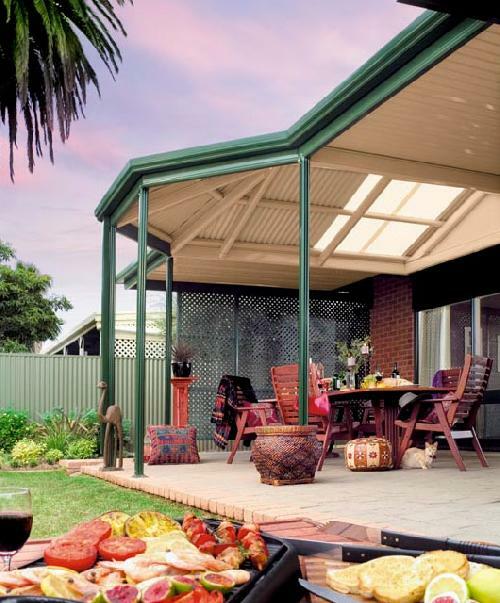 Both these designs feature big open beams with uncluttered appearance and are avaialble in clearspan and mulitspan options. 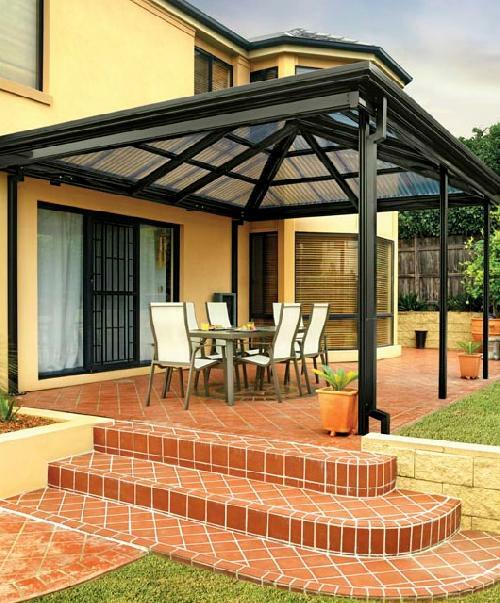 An elegant style of pergola,this has a traditional charm for your home. 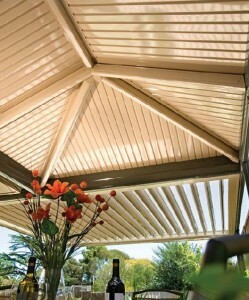 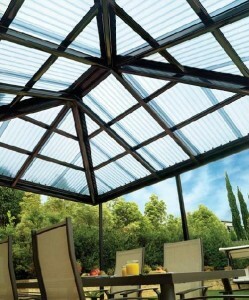 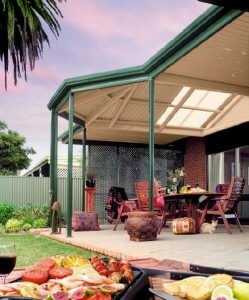 Designed to match the existing architecture of homes with a hip end in the roof line. 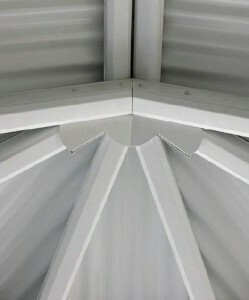 It can be used to great effect on one or both ends of a gable. 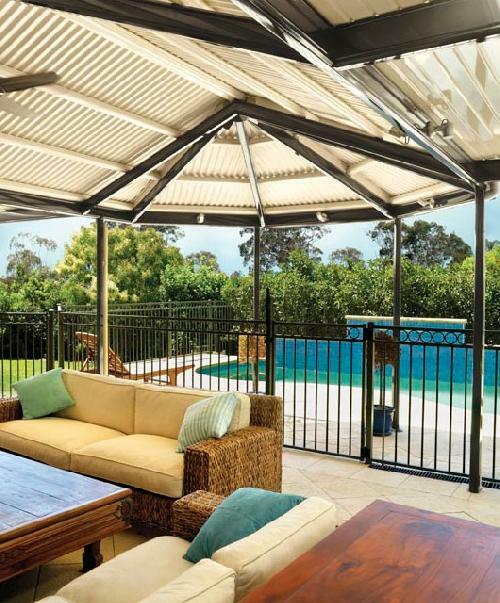 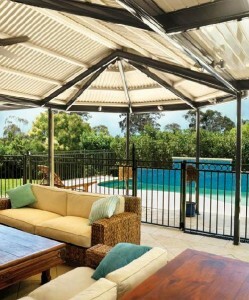 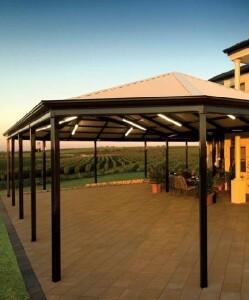 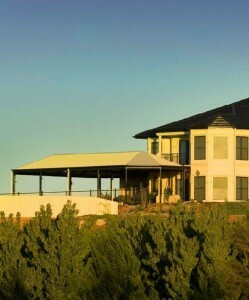 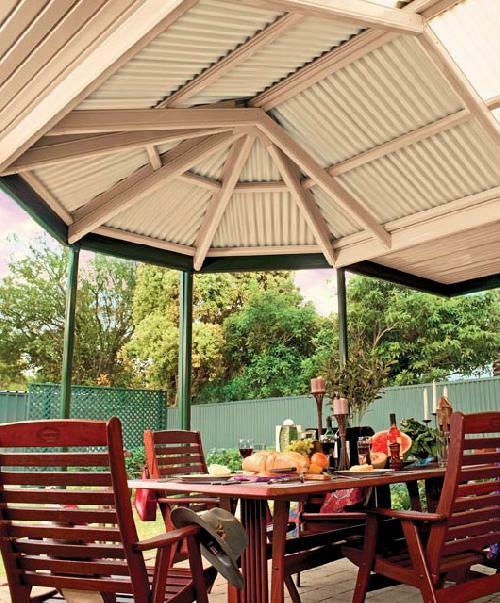 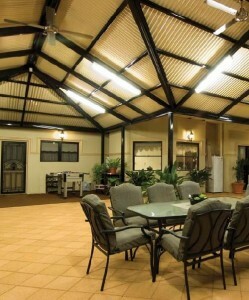 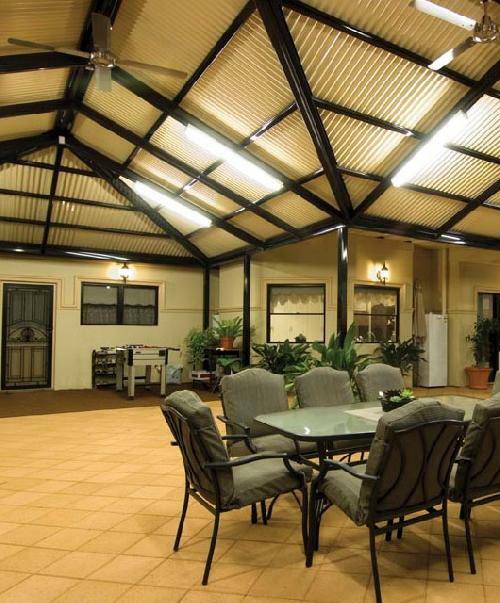 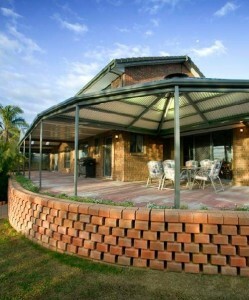 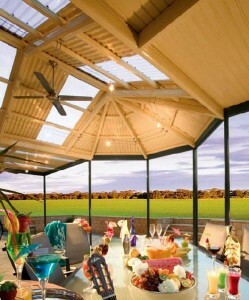 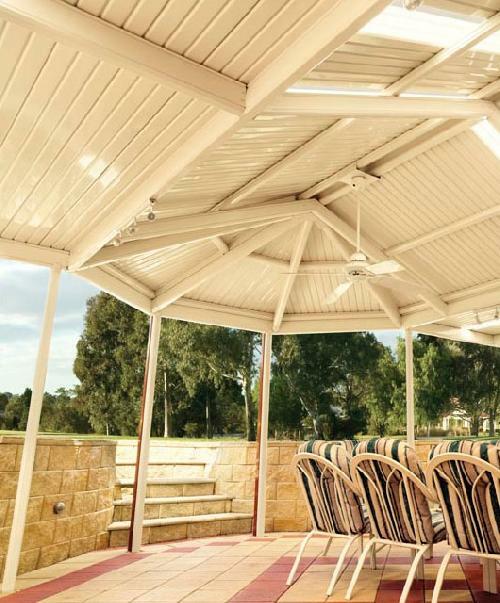 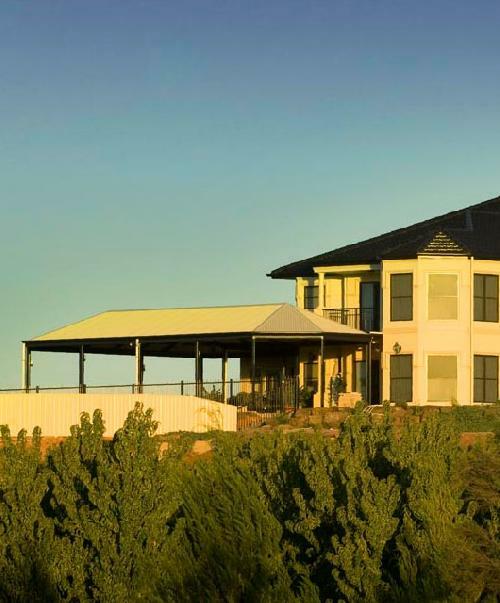 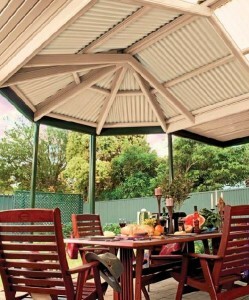 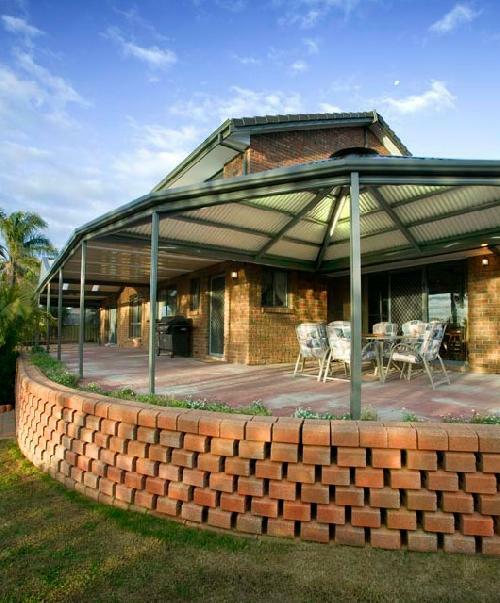 Exuding charm and character, the Outback Gazebo End adds a new dimension to the end of an Outback Gable. 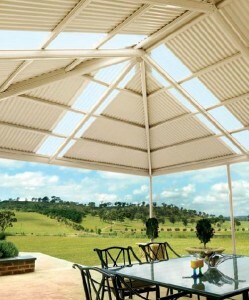 This style works especially well on areas with bay windows and hexagon forms in the roof design. Elegant, stylish and highly functional, both these models will add an elegant air to your home. 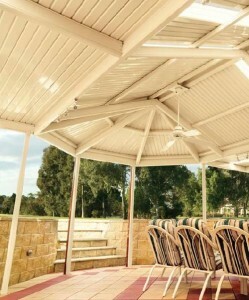 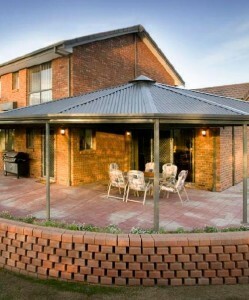 We sell Cooldek roofing for Geelong and Melbourne and Multispan Gables for Werribee and Hoppers Crossing.